Purpose: Encourage following motor commands, motor memory and coordination skills. Activity: Give each child an index card with the color word on it and tape it to the child’s shirt. The children should sit in a circle where they can each see all of the color cards. The leader calls out a color and throws the ball to a person wearing that color card. The leader then calls out another color and that person throws the ball to a person wearing the correct color card. Repeat calling out all of the colors. Now start a pattern – call out “red-yellow” and the ball should go to a red person followed by a yellow person. 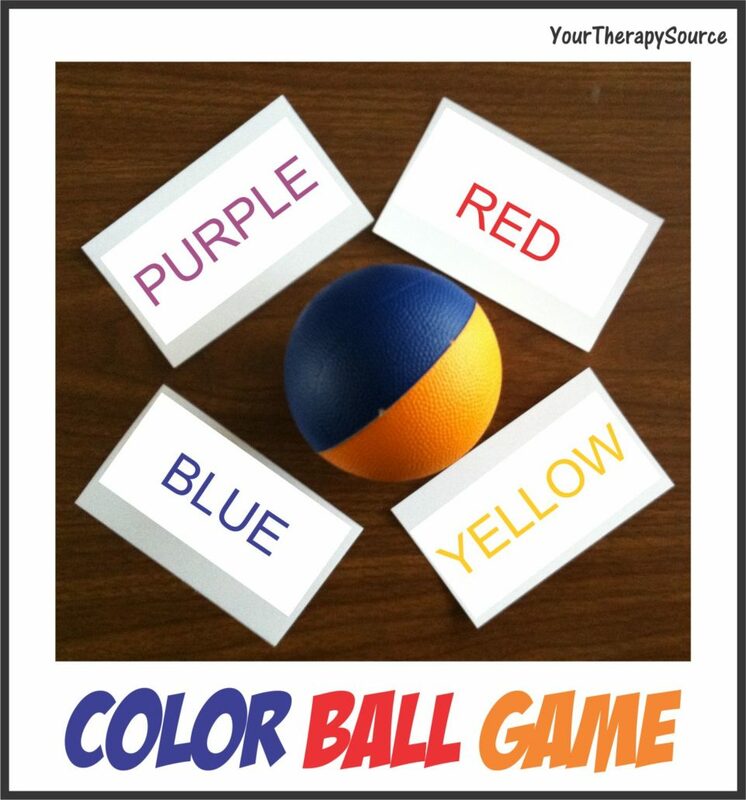 Now make it harder “red-yellow-purple-yellow-blue” and see if the children can remember all the colors you called passing the ball to the correct person. Want to make it harder? 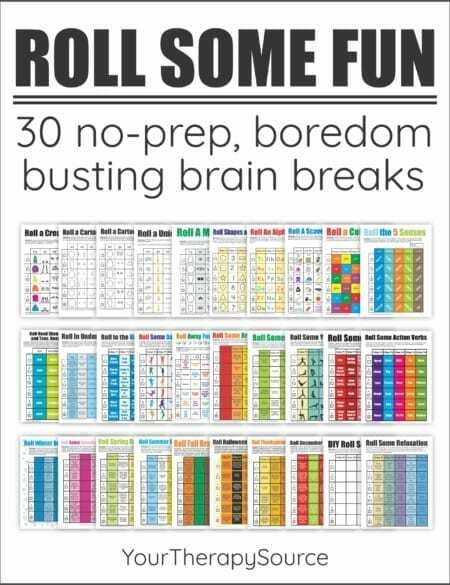 : Change it up so that every time you call out one color they must roll the ball instead of throwing it. For example announce every time you say “red” they must roll the ball. Now add another action – every time you say “purple” they must kick the ball. The children have to remember the color and the action. Want to make it easier? Only use two or three colors at a time during the game. If the children can not throw balls with accuracy you could roll the ball sitting on the floor in a small circle.